Defeated 23 individual Gr1 winners during his career including CHURCHILL, BLUE POINT, LIGHTNING SPEAR, RIBCHESTER, LIMATO, THUNDER SNOW, etc. One of the top-rated sons of WAR FRONT to retire to stud. Won the Gr1 Tattersalls Gold Cup in one of the fastest times in the history of the race, quicker than SO YOU THINK, HURRICANE RUN, FASCINATING ROCK, NOBLE MISSION etc. WAR FRONT 4 wins at 6f, 8½f, US$424,205, Saratoga Alfred G Vanderbilt H., Gr.2, Belmont Princelet S., L, Allowance, 2d Belmont Vosburgh S., Gr.1, Saratoga Forego S., Gr.1, Belmont Tom Fool H., Gr.2, Gulfstream Park Mr Prospector H., Gr.3, Deputy Minister H., Gr.3. He entered stud in USA in 2007. Sire of 522 progeny to race, 384 winners (73.0%), earnings of over $74 million, 79 stakes winners, 44 stakes placegetters, inc.
ROLY POLY (14f, Galileo, Storm Cat). 6 wins-3 at 2-from 1000m to 1600m, £474,713, €282,203, US$345, Newmarket Falmouth S., Gr.1, Deauville Prix Rothschild, Gr.1, Newmarket Sun Chariot S., Gr.1, Duchess of Cambridge S., Gr.2, Curragh Grangecon Stud S., Gr.3, 2d Royal Ascot Coronation S., Gr.1, Newmarket Cheveley Park S., Gr.1, Irish One Thousand Guineas, Gr.1, York Lowther S., Gr.2, 4th Curragh Marble Hill S., L.
U.S. NAVY FLAG (15c, Galileo, Storm Cat). Leading 3YO Male on the 2018 WTR (Sprint). Champion 2YO in Europe in 2017. Champion 2YO Colt in GB & Ireland in 2017.5 wins-4 at 2-to 7f to 2018, £705,376, €163,870, A$300,000, Newmarket Middle Park S., Gr.1, Dewhurst S., Gr.1, July Cup, Gr.1, Curragh Round Tower S., Gr.3, Dubai Duty Free Finest Surprise 2YO S., 2d Irish Two Thousand Guineas, Gr.1, Newmarket July S., Gr.2, 3d Curragh Marble Hill S., L, Where Champions are Made 2YO S., 4th Curragh Phoenix S., Gr.1, Leopardstown Two Thousand Guineas Trial, L.
AIR FORCE BLUE (13c, Maria’s Mon, Seeking the Gold). Champion 2YO Colt in Europe in 2015. Champion 2YO Colt in Ireland in 2015.4 wins at 2, £309,350, €331,420, Curragh Phoenix S., Gr.1, Newmarket Dewhurst S., Gr.1, Curragh National S., Gr.1, Big Bad Bob 2YO S., 2d Royal Ascot Coventry S., Gr.2. LANCASTER BOMBER (14c, Indian Ridge, Warning). 2 wins-1 at 2-at 7f, 10½f to 2018, £271,360, €205,348, US$641,200, HK$759,000, 367,000Dhs, Curragh Tattersalls Gold Cup, Gr.1, Leopardstown Irish Stallion Farms 2YO S., 2d Breeders’ Cup Mile, Gr.1, Woodbine Mile S., Gr.1, Newmarket Dewhurst S., Gr.1, Royal Ascot St James’s Palace S., Gr.1, Breeders’ Cup Juvenile Turf, Gr.1, 3d Newbury Lockinge S., Gr.1, 4th The Two Thousand Guineas, Gr.1, Curragh Futurity S., Gr.2, Meydan UAE Derby, Gr.2. THE FACTOR (08c, Miswaki, Icecapade). 6 wins-1 at 2-from 6f to 8½f, US$882,180, 146,800Dhs, Del Mar Pat O’Brien S., Gr.1, Santa Anita Malibu S., Gr.1, San Carlos S., Gr.2, San Vicente S., Gr.2, Oaklawn Park Rebel S., Gr.2, 2d Del Mar Bing Crosby S., Gr.1, Hollywood Park Triple Bend H., Gr.1, 4th Santa Anita Ancient Title S., Gr.1. DECLARATION OF WAR (09c, Rahy, Gone West). Joint Champion Older Male in Europe & GB in 2013 (Intermediate). Champion Older Male in Ireland in 2013 (Mile/Intermediate).7 wins-2 at 2-from 1500m to 2150m, £752,690, €134,010, US$500,000, York International S., Gr.1, Royal Ascot Queen Anne S., Gr.1, Dundalk Diamond S., Gr.3, Leopardstown Heritage S., L, Curragh Moyglare Stud Trophy, Deauville Midi Prix Habitat, 2d Sandown Eclipse S., Gr.1, 3d Breeders’ Cup Classic, Gr.1, Goodwood Sussex S., Gr.1, 4th Deauville Prix Jacques Le Marois, Gr.1, Curragh Solonaway S., Gr.3. AVENGE (12f, Woodman, Nijinsky). 7 wins from 6½f to 1¼m, US$868,341, Santa Anita Rodeo Drive S., Gr.1-twice, Del Mar John C Mabee S., Gr.2, Santa Anita Ultrafleet S., L, 3d Santa Anita Gamely S., Gr.1, Breeders’ Cup Filly and Mare Turf, Gr.1. DATA LINK (08c, Known Fact, Deputy Minister). 8 wins-1 at 2-from 1m to 9f, US$831,335, Keeneland Maker’s 46 Mile S., Gr.1, Hollywood Park Citation H., Gr.2, Monmouth S., Gr.2, Gulfstream Park Canadian Turf S., Gr.3, Allowance, 2d Keeneland Maker’s 46 Mile S., Gr.1, Saratoga Bernard Baruch H., Gr.2, 3d Gulfstream Park Canadian Turf S., Gr.3, 4th Belmont Poker S., Gr.3, Shady Character S., L.
LINES OF BATTLE – HELENE SUPER STAR (H.K.) (10g, Arch, His Majesty). Champion 3YO in UAE in 2012-13 (Intermediate). Champion Stayer in Hong Kong in 2014-15.6 wins-2 at 2-from 1200m to 2400m, £1,148, €66,455, HK$12,621,750, 4,404,000Dhs, HKJC Standard Chartered Champions & Chater Cup, Gr.1, UAE Derby, Gr.2, Dundalk Star Appeal S., L, Curragh Big Bad Bob 2YO S., HKJC Racing Club H., Crooked Island H., 2d Citibank Hong Kong Gold Cup, Gr.1, Leopardstown Tyros S., Gr.3, Curragh Silver S., L, HKJC Beijing H., 3d HKJC Cotton Tree H., 4th HKJC Centenary Vase, Gr.3, Centenary Vase, L.
JACK MILTON (10c, Forty Niner, Believe It). 5 wins at 1m, 8½f, US$853,828, Keeneland Maker’s 46 Mile S., Gr.1, Belmont Poker S., Gr.3, Keeneland Transylvania S., Gr.3, 2d Churchill Downs Turf Classic S., Gr.1, 3d Belmont Jamaica H., Gr.1, Arlington Park Secretariat S., Gr.1, Saratoga Fourstardave H., Gr.2, Colonial Downs Virginia Derby, Gr.2, Penn Mile S., L, 4th Gulfstream Park Canadian Turf S., Gr.3. SUMMER SOIREE (08f, Mazel Trick, Silver Hawk). 5 wins-1 at 2-from 1m to 9f, US$506,180, Del Mar Oaks, Gr.1, Monmouth Boiling Springs S., Gr.3, Turfway Park Bourbonette Oaks, Gr.3, 2d Hollywood Park Matriarch S., Gr.1, 3d Hollywood Park Matriarch S., Gr.1, Saratoga Ballston Spa S., Gr.2, Delaware Park Blue Hen S., L, 4th Keeneland First Lady S., Gr.1. HOMESMAN (14g, Red Ransom, His Majesty). 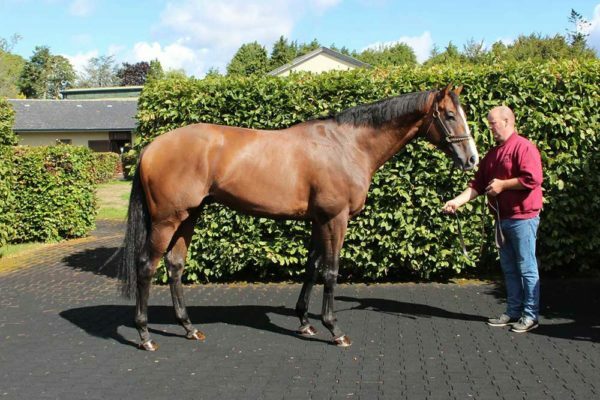 4 wins from 1800m to 2300m to 2018-19, £2,097, €55,205, US$120,000, A$1,320,500, MRC Underwood S., Gr.1, Curragh Gallinule S., Gr.3, MRC Mornington Cup Prelude, L, 2d MRC Caulfield Cup, Gr.1, MVRC Dato’ Tan Chin Nam S., Gr.2, Curragh Irish Stallion Farms S., 3d Belmont Derby, Gr.1. WAR COMMAND (11c, Red Ransom, His Majesty). 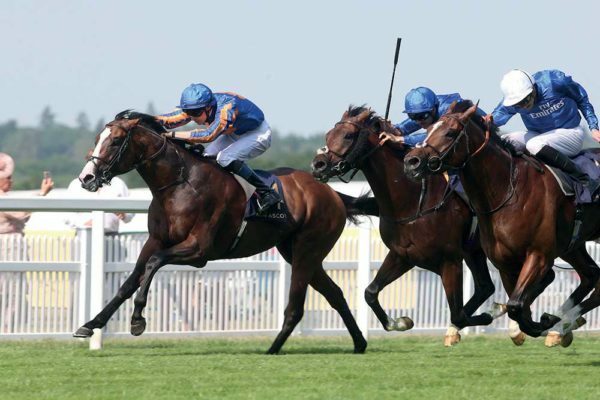 4 wins at 2, £316,693, €89,385, Newmarket Dewhurst S., Gr.1, Royal Ascot Coventry S., Gr.2, Curragh Futurity S., Gr.2, Leopardstown Irish National Stud Famous Name 2YO S., 3d Curragh Phoenix S., Gr.1, 4th Royal Ascot St James’s Palace S., Gr.1. WAR FLAG (13f, Arch, His Majesty). 5 wins from 1700m to 2000m, €80,300, US$385,200, Belmont Flower Bowl S., Gr.1, Chantilly Prix Chloé, Gr.3, Prix des Layons, Maisons-Laffitte Prix Double Rose, 2d Monmouth Matchmaker S., Gr.3, Chantilly Prix de la Grange Aux Belles, Deauville Prix d’Alderney, 3d Saratoga Glens Falls S., Gr.3. AMERICAN PATRIOT (13c, Tiznow, Notebook). 5 wins from 1m to 9f, US$487,272, Keeneland Maker’s 46 Mile S., Gr.1, Delaware Park Kent S., Gr.3, 3d Arlington Park Secretariat S., Gr.1, 4th Laurel Commonwealth Derby, Gr.2. BRAVE ANNA (14f, Sadler’s Wells, Danehill Dancer). Champion 2YO Filly in Europe in 2016. Joint Champion 2YO Filly in Ireland in 2016.3 wins at 2, £147,446, €14,798, Newmarket Cheveley Park S., Gr.1, Royal Ascot Albany S., Gr.3, Curragh Lester Piggott 2YO Fillies S.
HIT IT A BOMB (13c, Sadler’s Wells, Danehill Dancer). 3 wins at 2, €68,010, US$550,345, Breeders’ Cup Juvenile Turf, Gr.1, Dundalk Star Appeal S., L, Curragh Irish Stallion Farms 2YO S., 3d Leopardstown Solonaway S., Gr.2, Desmond S., Gr.3. FOG OF WAR (16c, Galileo, Dynaformer). 2 wins at 2 in 2018, Woodbine Summer S., Gr.1. PEACE AND WAR (12f, Smart Strike, Gilded Time). 2 wins at 2, £5,938, US$429,650, Keeneland Alcibiades S., Gr.1, 2d Delaware Oaks, Gr.3, Delaware Park Our Mims S., L, 3d Parx Racing Cotillion S., Gr.1. SUMMER FRONT (09c, El Prado, Cherokee Colony). 8 wins-3 at 2-from 6f to 8½f, US$1,077,140, Gulfstream Park Fort Lauderdale S., Gr.2, Belmont Hill Prince S., Gr.3, Monmouth Cliff Hanger S., Gr.3, Calder Miami Mile H., Gr.3, Gulfstream Park Dania Beach S., L, Saratoga Duluth S., L, Aqueduct King Cugat S., L, 2d Santa Anita Frank E Kilroe Mile S., Gr.1, Shoemaker Mile S., Gr.1, Del Mar Eddie Read S., Gr.1, Hollywood Park Citation H., Gr.2, Keeneland Lexington S., Gr.3, Belmont Fort Marcy S., Gr.3, 3d Belmont Jamaica H., Gr.1, Arlington Park Secretariat S., Gr.1, 4th Breeders’ Cup Mile, Gr.1. DEPARTING (10g, Pulpit, Forty Niner). 9 wins-1 at 2-from 6f to 9f, US$1,968,229, Churchill Downs Firecracker S., Gr.2, Mountaineer Park West Virginia Derby, Gr.2, Louisiana Downs Super Derby, Gr.2, Hawthorne Illinois Derby, Gr.3, Indiana Grand Michael G Schaefer Memorial S., L, Sam Houston Park Texas Heritage S., L, 2d Keeneland Fayette S., Gr.2, Churchill Downs Lukas Classic S., L, Delta Downs Delta Mile S., L, Mountaineer Park West Virginia Governor’s S., L, Oaklawn Park Fifth Season S., L, Churchill Downs Homecoming Classic S., L, 3d Churchill Downs Stephen Foster H., Gr.1, Fair Grounds Louisiana Derby, Gr.2, Fair Grounds H., Gr.3, Churchill Downs Opening Verse S., L, 4th Remington Park Oklahoma Derby, Gr.3, Kentucky Downs More Than Ready Mile S., L.
ON LEAVE (13f, A.P. Indy, Spectacular Bid). 8 wins from 1m to 9f to 2018, US$1,073,470, Belmont Sands Point S., Gr.2, Gulfstream Park My Charmer S., Gr.3, Belmont Perfect Sting S., L, Saratoga Riskaverse S., L, Laurel All Along S., L, Kentucky Downs One Dreamer S., L, 2d Churchill Distaff Turf Mile S., Gr.2, Pimlico Gallorette S., Gr.3, Saratoga De la Rose S., L, 3d Del Mar Goldikova S., Gr.2, Gulfstream Park Honey Fox S., Gr.3, 4th Keeneland Queen Elizabeth II Challenge Cup, Gr.1, Saratoga De la Rose S., L.
CAMBODIA (12f, Smart Strike, Known Fact). 7 wins from 1m to 9f to 2018, US$858,913, Del Mar Yellow Ribbon H., Gr.2-twice, John C Mabee S., Gr.2, Pimlico Gallorette S., Gr.3, 2d Del Mar John C Mabee S., Gr.2, 3d Santa Anita Rodeo Drive S., Gr.1, Breeders’ Cup Filly & Mare Turf, Gr.1, Parx Racing Dr James Penny Memorial S., Gr.3, Laurel Dahlia S., L, Fair Grounds Marie G Krantz Memorial S., L, Daisy Devine S., L, 4th Del Mar Matriarch S., Gr.1. PONTCHATRAIN (10f, Housebuster, Mr. Prospector). 6 wins-1 at 2-from 5½f to 8½f, US$446,392, Santa Anita Monrovia S., Gr.2, Buena Vista S., Gr.2, Senator Ken Maddy S., Gr.3, Unzip Me S., L, Del Mar Allowance, 4th Del Mar Sandy Blue H., L.
WAR DANCER (10c, Alydeed, Silver Hawk). 6 wins from 1m to 1½m, US$1,068,925, Colonial Downs Virginia Derby, Gr.2, Churchill Downs Louisville H., Gr.3, Parx Racing PTHA President’s Cup, L, Keeneland Allowance, 2d Belmont Man o’ War S., Gr.1, Keeneland Elkhorn S., Gr.2, Saratoga Bowling Green H., Gr.2, Indiana Downs Centaur S., L, 3d Churchill Downs American Turf S., Gr.2, Monmouth Oceanport S., Gr.3, Kentucky Turf Cup, Gr.3, Arlington H., Gr.3, 4th Saratoga Sword Dancer Invitational S., Gr.1-twice, Aqueduct Red Smith H., Gr.3, Woodbine Dominion Day S., Gr.3. SOLDAT (08c, Coronado’s Quest, Apalachee). 4 wins-1 at 2-at 8½f, 9f, US$622,760, Gulfstream Park Fountain of Youth S., Gr.2, Saratoga With Anticipation S., Gr.3, Gulfstream Park Allowance, 2d Breeders’ Cup Juvenile Turf S., Gr.2, Belmont Pilgrim S., Gr.3, 4th Gulfstream Park Hal’s Hope S., Gr.3. WAR OF WILL (16c, Sadler’s Wells, Riverman). 3 wins-1 at 2-at 8¼f, 8½f to 2019, US$491,569, Fair Grounds Risen Star S., Gr.2, Lecomte S., Gr.3, 2d Woodbine Summer S., Gr.1, 4th Keeneland Bourbon S., Gr.3. WAR DECREE (14c, Street Cry, Royal Applause). 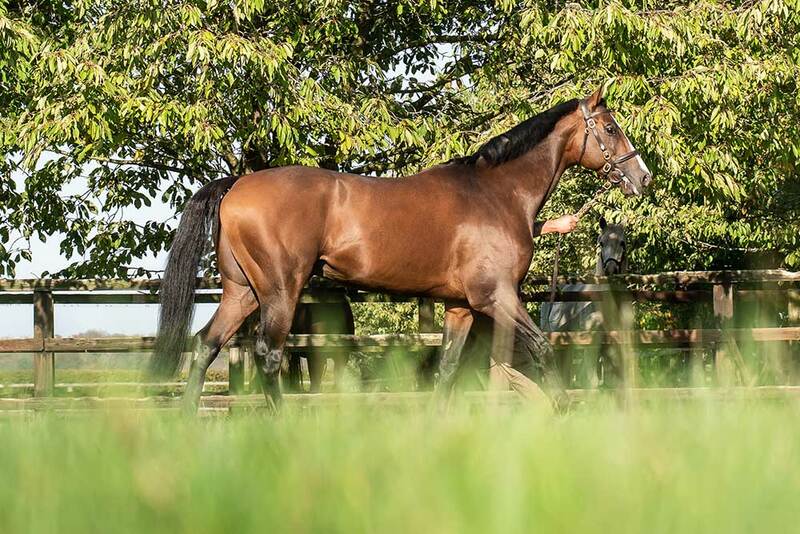 3 wins-2 at 2-at 7f, 10¾f, £158,305, €90,218, Goodwood Vintage S., Gr.2, Dundalk Diamond S., Gr.3, Leopardstown Irish Stallion Farms 2YO S., 2d Newmarket Superlative S., Gr.2, Chester Huxley S., Gr.2. STATE OF PLAY (09c, Procida, Nijinsky). 3 wins-2 at 2-at 5½f, 8½f, Saratoga With Anticipation S., Gr.2, Turfway Park John Battaglia Memorial S., L, 3d Keeneland Transylvania S., Gr.3. SPIRIT OF VALOR (14c, Grindstone, Known Fact). 2 wins-1 at 2-at 6f, 7f, £28,922, €124,418, A$272,000, Curragh Minstrel S., Gr.2, 2d MVRC Manikato S., Gr.1, Curragh Greenlands S., Gr.2, MRC Schillaci S., Gr.2, Royal Ascot Jersey S., Gr.3, Leopardstown Killavullan S., Gr.3, 3d Curragh Phoenix Sprint S., Gr.3, Irish Stallion Farms 2YO S., 4th Doncaster Park S., Gr.2. BASHART (11c, Clever Trick, Inverness Drive). 2 wins at 2, US$293,453, Saratoga With Anticipation S., Gr.2, 2d Keeneland Bourbon S., Gr.3, Delaware Park Kent S., Gr.3, 3d Churchill Downs Commonwealth Turf S., Gr.3, 4th Saratoga Saranac S., Gr.3. LULL (14f, Tiznow, Quiet American). 5 wins-2 at 2-from 6f to 1m to 2018, US$1,005,562, Santa Anita Autumn Miss S., Gr.3, Gulfstream Park Honey Fox S., Gr.3, Kentucky Downs Ladies Sprint S., L, Kentucky Downs Juvenile Fillies S., L, 2d Del Mar San Clemente H., Gr.2, Keeneland Jessamine S., Gr.3, Kentucky Downs Ladies Sprint S., Gr.3, Belmont Soaring Softly S., L, 3d Belmont Just a Game S., Gr.1, Woodbine Royal North S., Gr.2, Keeneland Franklin County S., Gr.3, 4th Breeders’ Cup Juvenile Fillies Turf, Gr.1, Santa Anita Goldikova S., Gr.2. WAR DISPATCH – GREEN DISPATCH (H.K.) (12g, Unbridled’s Song, Arch). 8 wins-3 at 2-at 1800m, 2000m, €331,550, US$8,910, HK$2,103,825, Chantilly Prix de Guiche, Gr.3, Cagnes-sur-Mer Prix Policeman, L, Chantilly Prix du Rond du Chene, HKJC Chamber of Commerce Cup, Precision H., 2d Maisons-Laffitte Prix Eugene Adam, Gr.2, Deauville Prix du Val Sery, HKJC Fortune Room H., 3d Chantilly Prix du Jockey Club, Gr.1, HKJC Southern Ocean H., Port Shelter H.
WAR CORRESPONDENT (10c, Rahy, Gone West). 5 wins from 1500m to 2000m, €37,750, US$302,660, Gulfstream Park Appleton S., Gr.3, Miami Mile S., Gr.3, Deauville Prix d’Aurigny, 2d Woodbine Autumn S., Gr.2, Deauville Midi Prix du Loir, 3d Gulfstream Park Turf H., Gr.1-twice, Presque Isle Mile S., L, 4th Gulfstream Park West Tropical Turf H., Gr.3. PEACE PRESERVER (09f, Forty Niner, Believe It). 5 wins-1 at 2-at 1m, 8½f, US$382,166, Belmont Noble Damsel S., Gr.3, Pebbles S., L, 2d Belmont Beaugay S., Gr.3, Saratoga Riskaverse S., L, Monmouth Desert Vixen S., L, 3d Belmont Mariensky S., L.
HAKAM (12g, Arch, Smart Strike). 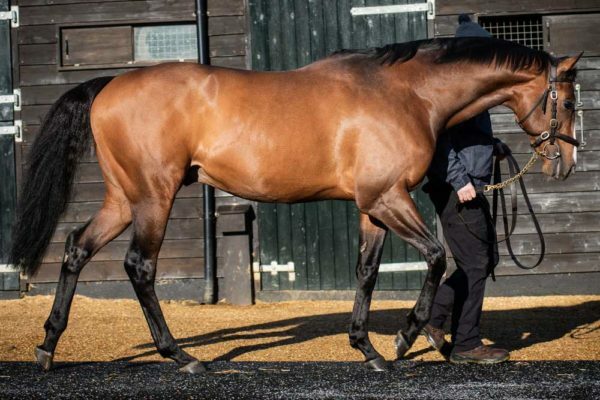 7 wins from 1200m to 1600m to 2019, Ovrevoll Polar Cup, Gr.3, Kempton Betfred Like Us on Facebook H., Lingfield Sun Racing H., 2d Ascot Derek Lucie-Smith Memorial H., Newmarket Alex Scott S., Newcastle Betway Sprint H., 3d Lingfield Sunbets.co.uk S., 4th Lanwades Stud Jägersro Sprint, L.
FIRE AWAY (12c, Unbridled, Private Account). 7 wins from 1m to 11f to 2018, US$613,397, Pimlico Dixie S., Gr.3, Aqueduct Artie Schiller S., L, Danger’s Hour S., L, 3d Tampa Bay S., Gr.3, 4th Belmont Poker S., Gr.3, Saratoga Lure S., L.
DREAM AWHILE (14f, Montjeu, Hansel). 4 wins-1 at 2-at 1700m, 1900m to 2018, Monmouth Eatontown S., Gr.3, Gulfstream Park Tropical Park Oaks, L, Deauville Prix First Waltz, 2d Gulfstream Park Suwannee River S., Gr.3, Monmouth Matchmaker S., Gr.3, 3d Churchill Distaff Turf Mile S., Gr.2, Bordeaux-Le Bouscat Derby du Midi, L, Vichy Prix Madame Jean Couturie, L, 4th Belmont Noble Damsel S., Gr.3. LONG ISLAND SOUND (13c, Pulpit, Kris S). 4 wins from 1m to 10¾f, Dundalk Diamond S., Gr.3, 2d Arlington Park Secretariat S., Gr.1, 3d Royal Ascot Tercentenary S., Gr.3. NATIVE BOMBSHELL (10f, Pulpit, Storm Cat). 4 wins from 6f to 8½f, US$209,064, Woodbine Ontario Fashion S., Gr.3, Ruling Angel S., L.
JOURNEY HOME (14f, A.P. Indy, Pleasant Colony).  3 wins-2 at 2-at 1m, 8½f, US$225,997, Del Mar Jimmy Durante S., Gr.3, Delaware Park Christiana S., L, 2d Churchill Downs Mrs Revere S., Gr.2, Keeneland Valley View S., Gr.3, Arlington Park Pucker Up S., Gr.3, 4th Santa Anita Blue Norther S., L.
INTELLIGENCE CROSS (14c, Unbridled’s Song, Jade Hunter). 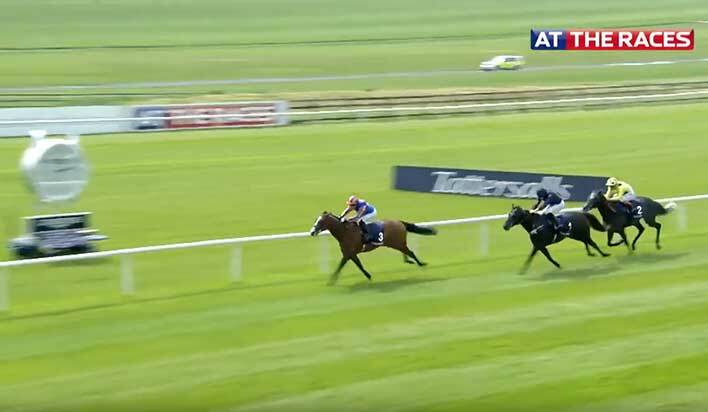 3 wins-2 at 2-at 5¾f, 6f, £61,818, €77,208, US$345, A$2,400, Curragh Round Tower S., Gr.3, Finest Surprise 2YO S., 2d Newmarket July S., Gr.2, Curragh Dash S., L, Irish Stallion Farms 2YO S., 3d Goodwood Richmond S., Gr.2, Navan Power S., L, 4th Newmarket Middle Park S., Gr.1, Dundalk Patton S., L.
ROYAL ARTILLERY (13c, Dynaformer, Mr. Prospector). 2 wins-1 at 2-at 7f, 10½f, Haydock Rose of Lancaster S., Gr.3, 3d Deauville Prix Guillaume d’Ornano, Gr.2, 4th Sandown Gordon Richards S., Gr.3, Heron S., L.
His sire sons include The Factor (13), Declaration of War (11), Data Link, State of Play, Soldat, War Command, etc. Starry Dreamer Rubiano Fappiano – Mr Prospector. INDIAN RIDGE 5 wins2 at 2to 7f, £111,744, Royal Ascot King’s Stand S., Gr.2, Jersey S., Gr.3, Duke of York S., Gr.3. Second on GB/Ire. Sire List in 1995, third in 2001. Sire of winners of over $76 million 84 stakes winners, inc. DOMEDRIVER, RIDGEWOOD PEARL, COMPTON PLACE, DEFINITE ARTICLE, RELAXED GESTURE, INDIAN HAVEN, LINNGARI, DAYTONA, INDIAN INK, NAMID, etc. Maternal sire of winners of over $111 million 97 stakes winners, inc. WILKO, EXCELEBRATION, HALFWAY TO HEAVEN, AIRWAVE, REEL BUDDY, DANCING RAIN, DESERT BLANC, KINGSGATE NATIVE, PROFITABLE, NIGHTIME. When world-class stallion Danzig was 24 years old, he conceived what in normal circumstances could well have been career-end crop of 38 foals. Among them a bay colt named War Front, destined to become one of Danzig’s most accomplished stallion-sons next to Danehill and Green Desert. Danzig wasn’t finished yet by any means, having three more crops. Those included Champion Sprinter US Ranger, and Hard Spun, G1 winner and sire of G1 winners. Danzig last-ever runner came from his final crop of 25 foals, conceived at 27 years; named All Together he raced 54 times for 9 wins and half a million in earnings. War Front was lighter raced, as a G1 placed G2 winner of 4 races in 13 starts. He retired to stud at Claiborne as a 5yo in 2007, commanding a stud fee of between $10k to $15k in his first five years. 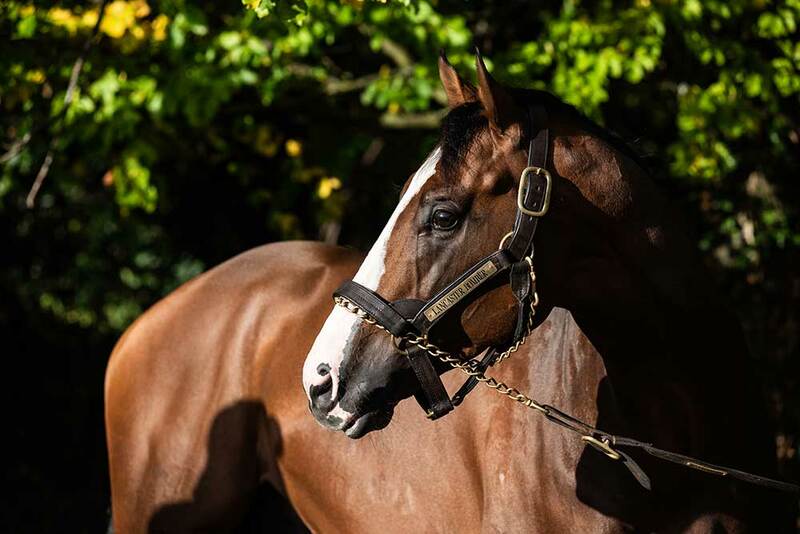 Today, in 2019, he’s risen to become the highest priced stallion in the USA, with a fee of $250k. War Front should have a good few years to come, if the ‘other’ great Danzigs are anything to go by. Green Desert was pensioned at age 28 and died when 32. Danehill had a paddock accident which took him away prematurely when ‘only’ 17. War Front’s legacy should last. 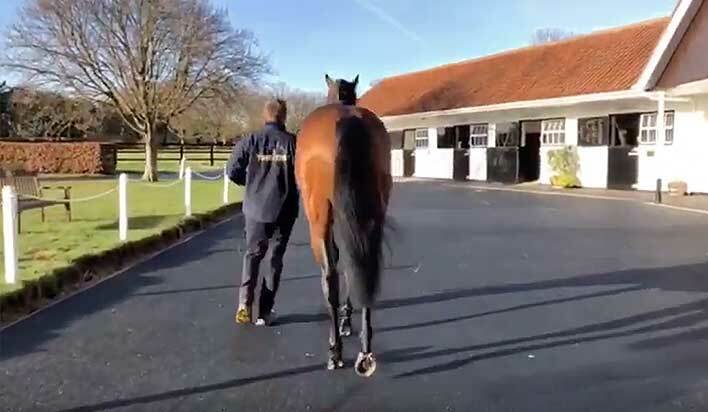 To date he has 21 sons at stud, the majority having started their second careers between 2017 and 2019, so haven’t yet had runners. Expectations are high. An evaluation of War Front’s female line suggests his SigAnc (Significant female line Ancestor) to be 6th dam Sunny Vale, who features prominently in the kin-breeding of his best runners. Another G1 producing sire from War Front’s female line is Dynaformer, who has Sunny Vale as his 4th dam. Dynaformer and sisters have a startling presence in highclass War Front runners. Gr1 winning siblings Lines Of Battle (named Helene Super Star in Hong Kong) and full sister War Flag are out of the mare Black Speck, half sister by Arch to Dynaformer. Gr1 placed Gr1 winner Homesman is out of My Annette, half sister by Red Ransom to Dynaformer. Homesman’s 3-part brother US Ranger, twice Champion European Sprinter, is from Danzig’s second last crop. The dam of Gr1 winner Fog Of War is by Galileo out of Riskaverse, a daughter of Dynaformer from the Missy Baba female line. 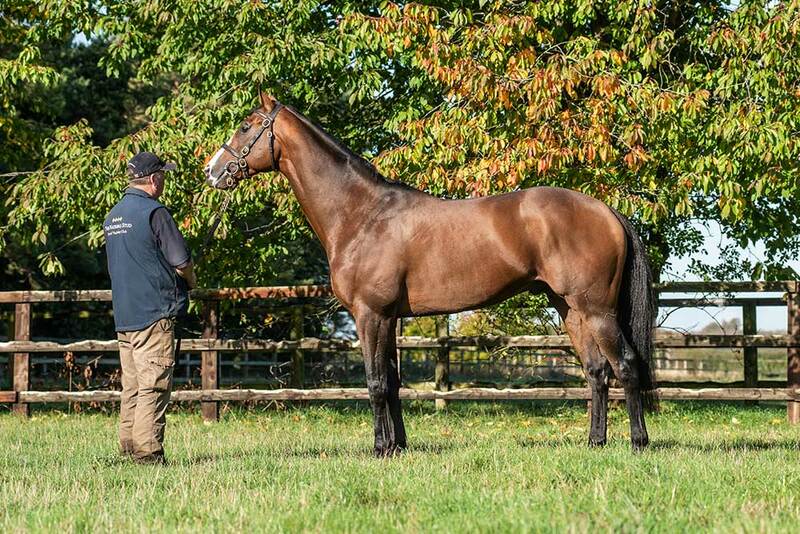 The dam of Royal Artillery, Gr2/ Gr3 placed in UK and France and now a stallion at stud in USA, is by Dynaformer. All of which might be more than mere coincidence. Following the SigAnc trail, Sunny Vale is close kin to Lady Lawless (SigAnc in the female line of Missy Baba/Lassie Dear), to Change Water (female line of Fall Aspen), Con Game (female line of Seeking The Gold). Sunny Vale, her daughter Secret Valley and that one’s daughter Secret Promise (all in War Front’s bottom line) are all three close kin to stallion Bold Reason. The latter is a noted influence in the pedigree of Sadler’s Wells, which adds another piece to the War Front puzzle. Gr1 full siblings US Navy Flag and Roly Poly are by War Front out of a mare by Galileo (Sadler’s Wells), and are bottom-line kinbred Sunny Vale x Burgoo Maid (female line also of Jungle Cove). Gr1 full siblings Brave Anna and Hit It A Bomb are by War Front out of a mare by Sadler’s Wells, and are bottom-line kinbred Sunny Vale x Evening Belle. 2yo Gr1 winner Fog Of War (current 3yo) is by Galileo out of Riskaverse (Dynaformer) from the Missy Baba female line – combining the best of all worlds. Most notable of his female line ancestors is the mare Fantan, his 6th dam. She’s a daughter of Ambiorix, and is closely kinbred through that stallion’s dam Lavendula, 2nd dam Sweet Lavender and 3rd dam Marchetta. All three prominent elements in modern day pedigrees. 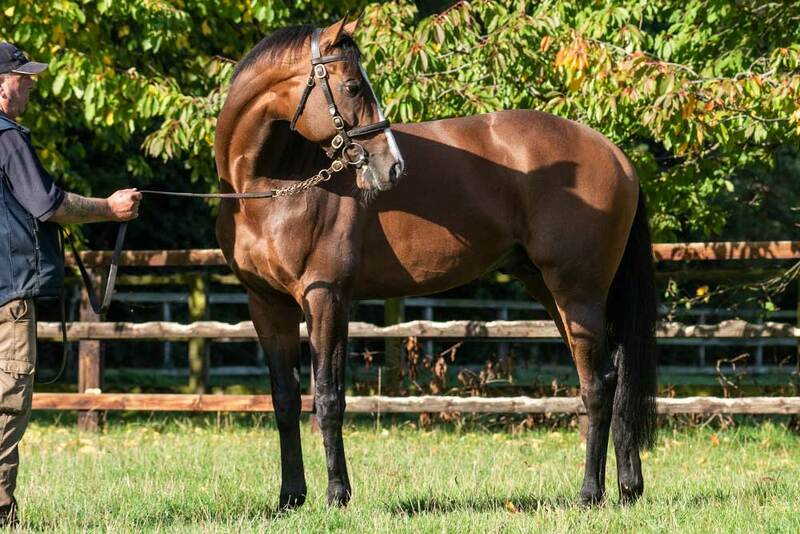 The kin-breeding comes through Lancaster Bomber’s SigAnc Jug Of Wine, who continues to feature in the kin-breeding along the bottom-line – in Lancaster Bomber’s highclass 4th dam Mariel (Relko) and her multiple Gr1 winning daughter Sarah Siddons (Le Levanstell). Back to Fantan, who also is the dam of full siblings Ragusa and Ofa, by Ribot. Ragusa was a topclass racehorse (rated Timeform 137), and is sire of sires. Ofa is grandam of South African champion Politician and of the mare Sweet Turn, whose female descendants are widespread in SA. Lancaster Bomber’s 3rd dam Sarah Siddons (rated 122) left an impressive legacy. Her daughter Princess Patti (TFR 124) won the Irish Oaks, and had Gr2 placed son Parthian Springs (Sadler’s Wells) to become a stallion. Sarah Siddon’s son Seymour Hicks (TFR 125), a Gr2 winner and subsequent stallion, was by Ballymore – son of Ragusa, making for close inbreeding to Fantan. Seymour’s full sister Gertrude Lawrence was unraced grandam of European Champion 3yo filly Leggera (TFR 125), by Sadler’s Wells. It may be of significance that Sarah Siddon’s pedigree shows a strong influence of Tourbillon, from her sire le Levanstell, damsire Relko and Fantan’s sire Ambiorix. An added note about US Classic candidate War Of Will, by War Front out of Visions Of Clarity. The latter is by Sadler’s Wells, has doubles of Turn To and Djeddah, and is close kin to War Front’s grandam Lara’s Star. War Of Will is half brother to Pathfork, whose daughters therefore might suit Lancaster Bomber. The two halves of the pedigree of Lancaster Bomber give a variety of options. War Front leads to Sunny Vale descendants, notably Dynaformer (quite rare in SA; in Admiral’s Kitten, Rock Of Rochelle) and Albert Hall. War Front also leads to Sunny Vale kin-links, as in Missy Baba/Lassie Dear (descendants aplenty in SA), Change Water (Fall Aspen, dam of Fort Wood), Con Game (Seeking The Gold), Burgoo Maid (Jungle Cove). Then there the strong link with Bold Reason, leading to Sadler’s Wells. 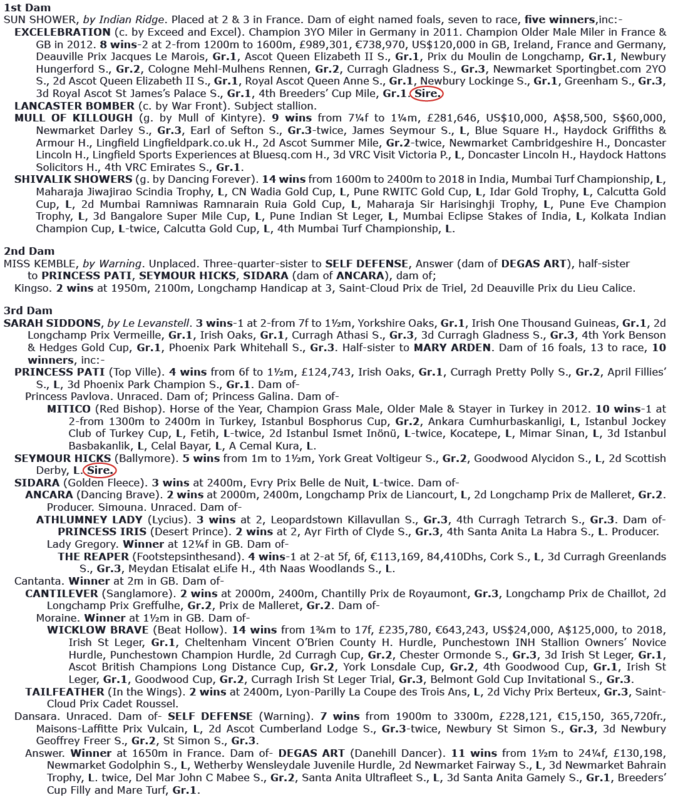 Note Admiral Kitten’s sire Kitten’s Joy, by El Prado (Sadler’s Wells) with dam from female line of Portage (dam of Change Water, leading to Fort Wood, by Sadler’s Wells). Coolmore’s interest in War Front will no doubt results in a high number of mares with Sadler’s Wells/ Galileo with War Front offspring in years to come. That will tell us more. The female line of Lancaster Bomber leads to Marchetta/Sweet Lavender/Lavendula, which is widespread in SA, and also includes Source Sucree, Perfume, and stallion Turn To (with sons Sir Gaylord, Hail To Reason). Interesting in this respect is Dynasty, by Fort Wood, and with grandam Joy Petite bringing Tourbillon and Lavendula doubles. Other Marchetta descendants include Aurora, the dam of Alycidon, Acropolis (in Horse Chestnut, Toreador), Borealis (in Right Approach). Marchetta female line descendants, notably through Sweet Lavender/Lavendula (notably Dynasty, but widespread), Turn To (Sir Gaylord, Hail To Reason), Aurora (Alycidon, Acropolis (Fort Wood’s son Horse Chestnut, Toreador), Borealis (Right Approach), and also leading to Fantan descendants, incl Politician, Sweet Turn (Jessamine (The Sheik by Al Mufti), etc), Ragusa.